What Goes Into Prosthodontist Training in Jacksonville? A prosthodontist is a specialist who can rebuild your smile after serious damage — like from an injury, years of neglect, or anything else that leaves you with severe problems. Like in the rest of the United States, prosthodontic certification in Jacksonville requires several years of training BEYOND the completion of dental school. Keep reading to learn more about what a board certified prosthodontist has gone through in order to earn the title and how they stay up-to-date on the latest advances in the field. What Does Prosthodontist Training Entail? Getting to be a prosthodontist isn’t an easy task, and it takes quite a bit more time than becoming a general dentist in Jacksonville. To earn a dental degree, you need to complete your bachelor’s (4 years) and then graduate from dental school, which usually another 4 years. If you want to become a prosthodontist, this specialization requires up to 3 to 4 more years of fellowships and/or residencies past dental school. That means it could take a total of 12 years to earn this title — or 11 at the very least. 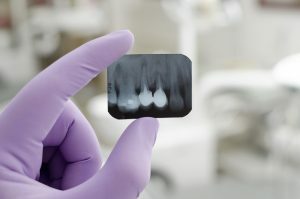 Once a prosthodontist finishes their formal education, they have received significant hands-on and theoretical training to provide superior care in the reconstruction of missing tooth and jaw structures. Of course, they are never truly finished learning! Excellent prosthodontists stay on top of the latest advances in technology and methods by dedicating many hours each year to continuing education opportunities through organizations like the American College of Prosthodontics and others. When you search for a prosthodontist, it’s a good idea to look for one who is Board Certified by The American Board of Prosthodontics. This means they have completed a rigorous 4-part examination held by an independent authority to become a specialist in the field. Plus, they will need to pass a recertification exam every 8 years in order to keep their title. That means you can feel sure that you are getting the very best, most experienced and trusted care. To conclude, a prosthodontist has undergone significant theoretical and hands-on training to provide this type of specialized dentistry. If you need expert restorative care, visit a Board Certified Prosthodontist to rebuild your beautiful, complete smile. Dr. Matthew Nawrocki studied at the University of Florida before earning his Doctor of Dental Medicine at the University of Florida College of Dentistry. After this, he completed a one-year residency from the same school and then a three-year fellowship in prosthodontics. Dr. Nawrocki stays on top of advances in this field through a number of professional organizations. To learn more about the services he provides or to book an appointment, contact your prosthodontist in Jacksonville at (904) 683-4781. Comments Off on What Goes Into Prosthodontist Training in Jacksonville?